This project partners with ACCIONA to utilize carbon offsets revenues to help accelerate the development of wind projects. 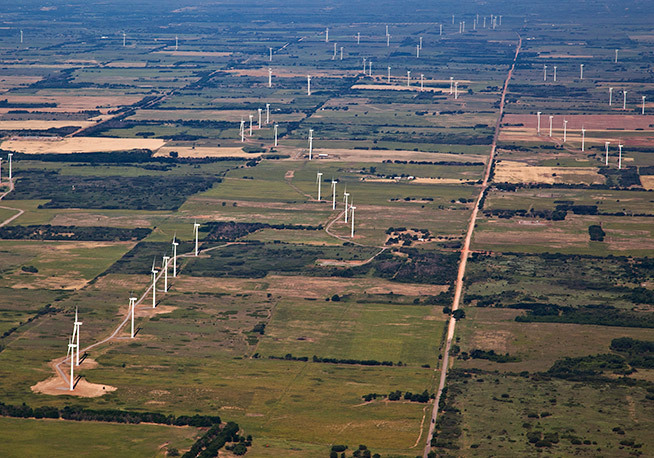 The Big Smile Wind Farm at Dempsey Ridge is located in Beckham and Roger Mills counties, Oklahoma, on more than 7,500 acres of agricultural and grazing land. Local landowners are paid to host the turbines on their farming and grazing land. This project operates as a merchant plant, meaning it was built to serve the spot market. 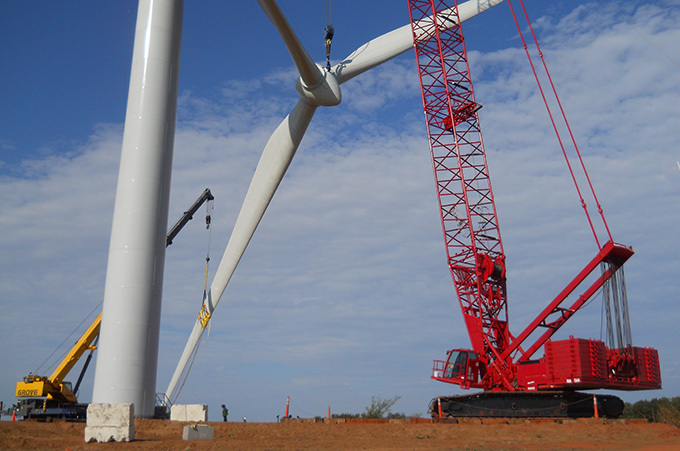 Most wind projects that get built in the US rely on long term power sale contracts. The higher risk profile of the project due to the lack of a long term contract helps establish the additionality of the offsets it is generating. To address wildlife concerns, ACCIONA conducted environmental impact studies on birds, bats, and wetland habitat, which were shared during an extensive county permitting and review process during the project development phase. A series of public forums provided local communities the opportunity to review the impact studies and project plans. Following these forums, ACCIONA received the required permits to construct the project.